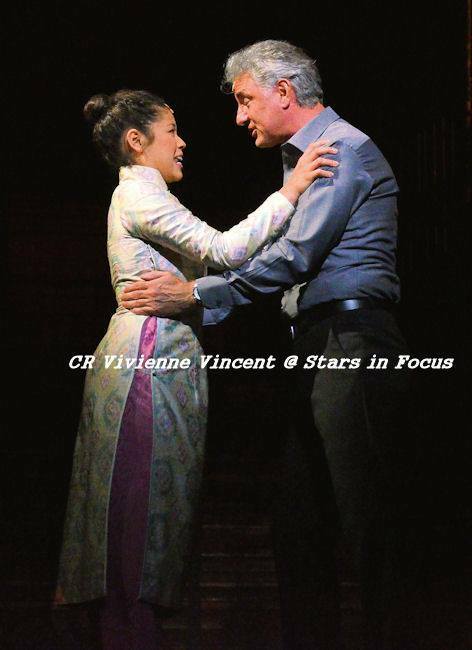 The 25th Anniversary of Miss Saigon was marked with a Gala Performance at the Prince Edward Theatre on 22nd September 2014. 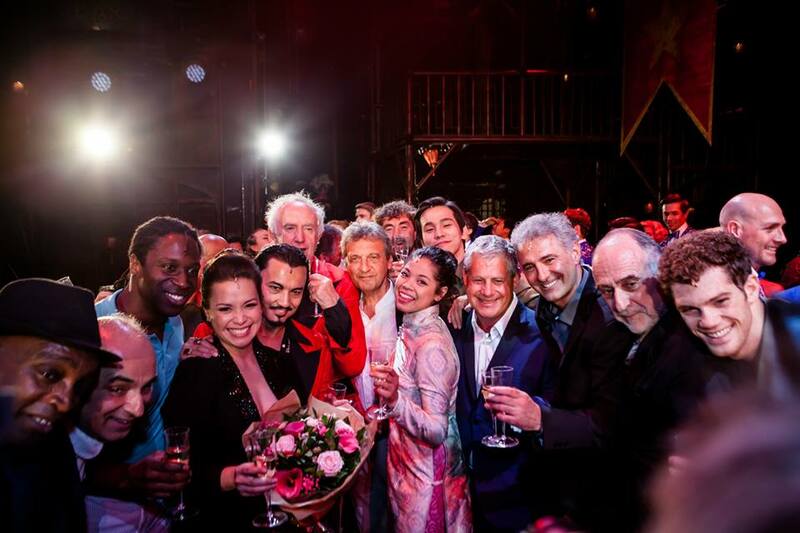 After the current cast performed the show there was a short break when bottles of champagne and glasses were passed along the rows for every member of the audience to celebrate with. 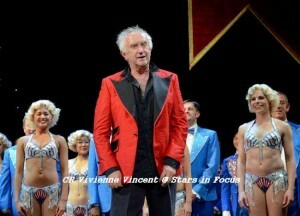 Then there was a spectacular Finale with original cast members alongside the current cast. 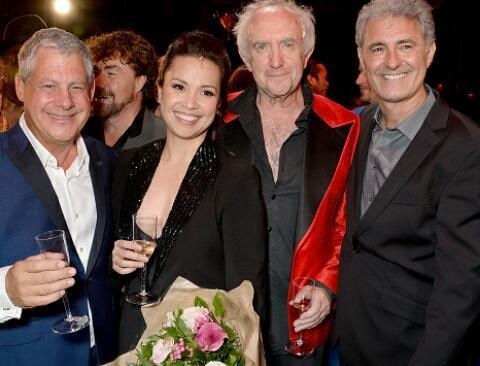 The Finale began with Lea Salonga singing ‘This is the hour’. 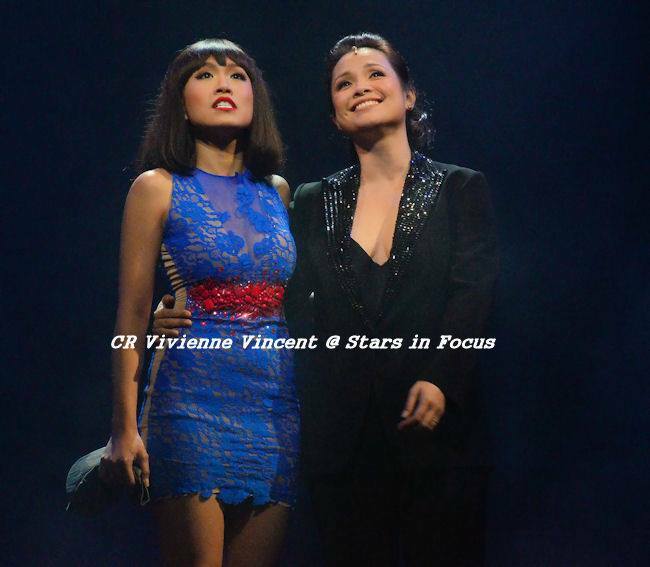 She was joined by Rachelle Ann Go to sing a powerful duet version of ‘The Movie In My Mind’. Lea told us how there had been many wonderful performers playing opposite her as Chris – but that you always remember your first! 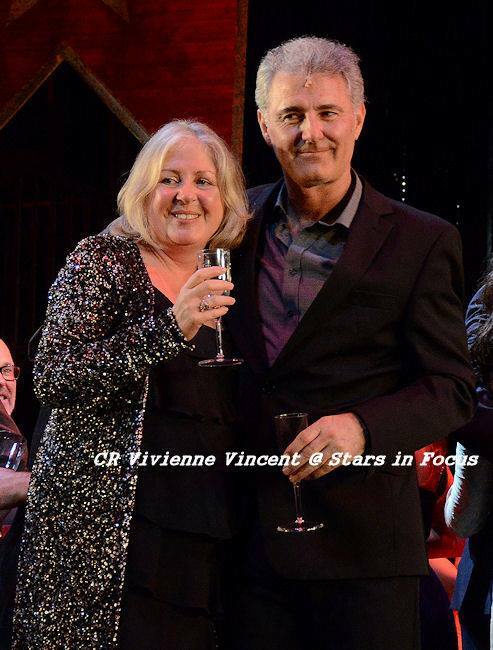 At which point Simon Bowman appeared onstage to sing ‘The Last Night Of The World’ with her. 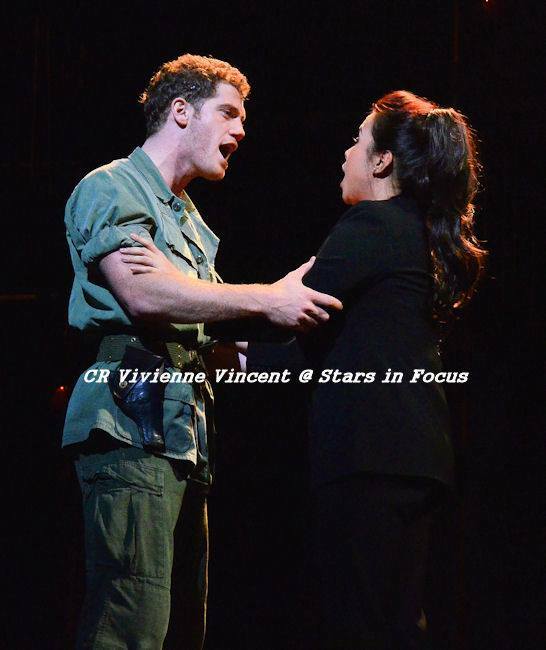 Towards the end they were joined by the current Kim and Chris, Eva Noblezada and Alistair Brammer who continued with the song. There was much playfulness with each Chris trying to pinch the other’s girl. 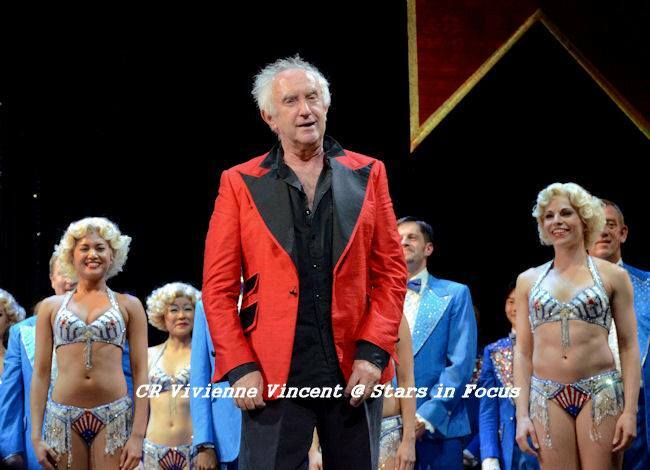 Jonathan Pryce came on to sing a great rendition of ‘The American Dream’ with some humorous asides referencing his age, lack of hair and the matron at his old folks home! There was a huge cast of Miss Saigon alumni on stage performing the dance number with him. 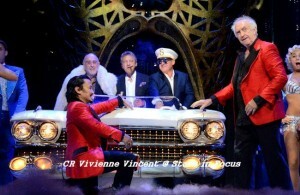 The Cadillac arrived in great style with Cameron Mackintosh as the chauffeur and Alain Boublil and Claude-Michel as champagne drinking passengers. After a few speeches the current and former casts clearly had a great time catching up on stage. 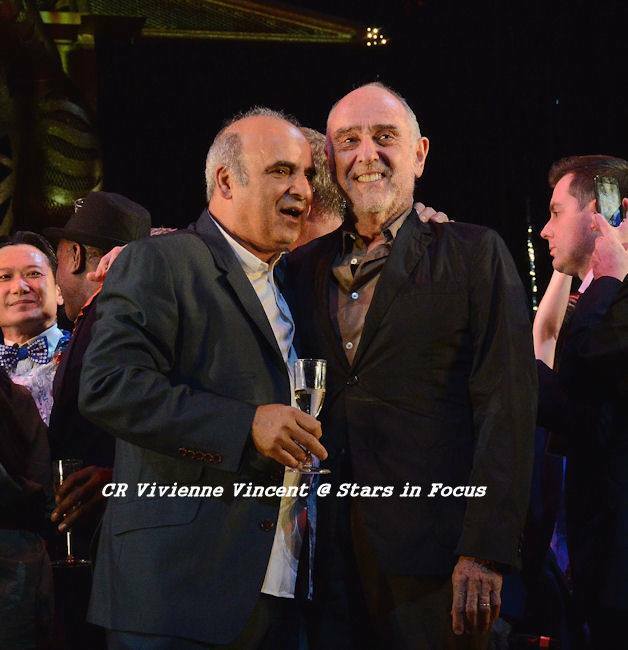 It was lovely to see Claire Moore and Peter Polycarpou with many other familiar faces from the past 25 years. The Finale captured exactly the right balance of spectacle and humour and paid equal homage to both current and original casts. The audience were truly appreciative and left feeling they had witnessed a totally magical evening.